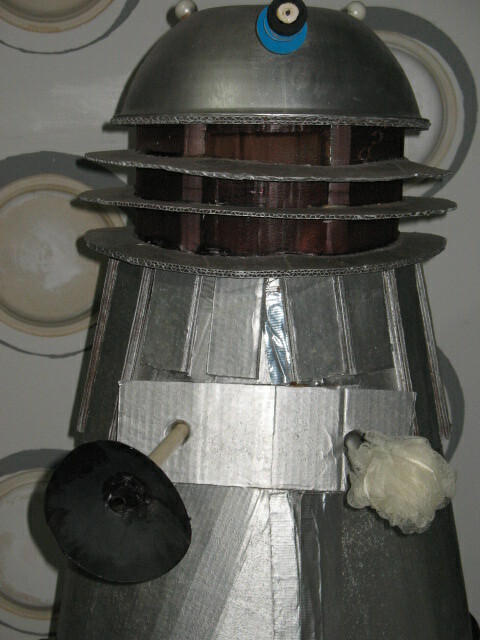 News and information from the world of Doctor Who. 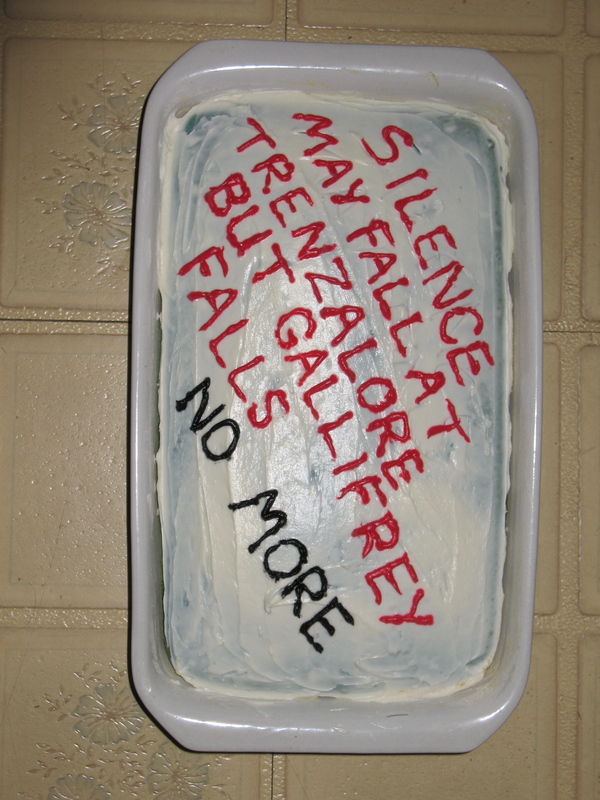 Spent most of today baking goodies: Dalek Droppings, chocolate chip meringue cookies (yes, the ones mentioned in the credits of a John Reid Adams Doctor Who fan video), and the appropriately-themed cake (photos later–I don’t want to spoil the surprise). 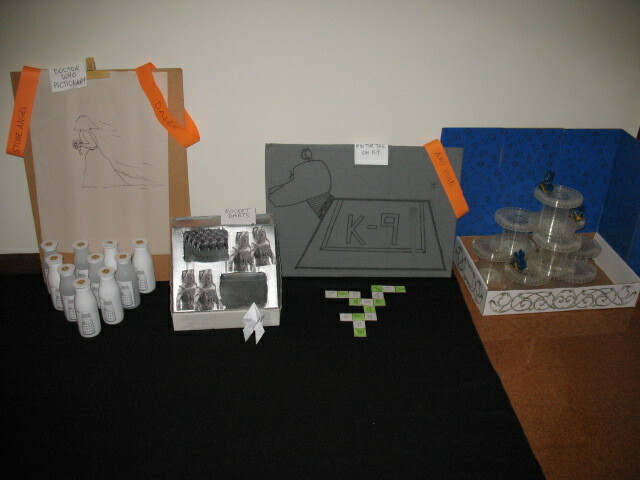 Auction items, prizes, books for sale, freebies, the piñata (again, photos later), games, trivia questions, decorations–whew! 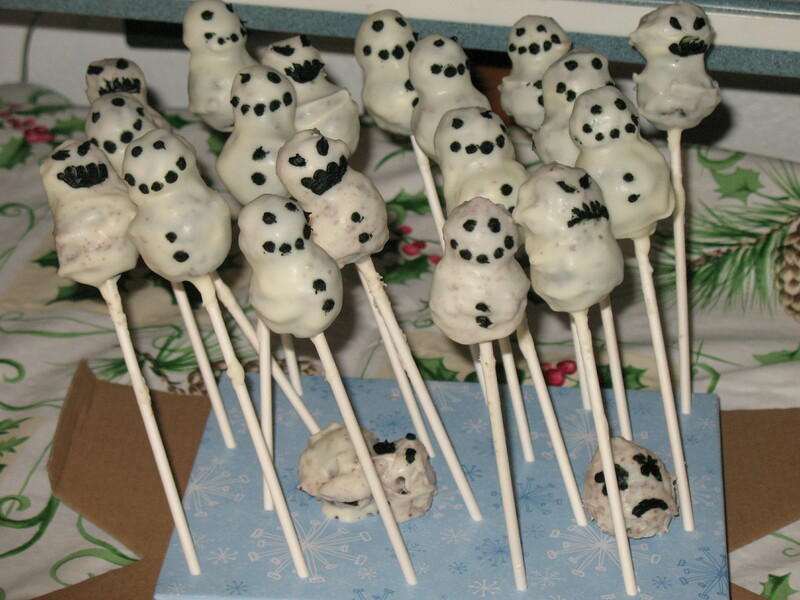 Party prep is almost done and tomorrow is the big day. I’ll get back to you AFTER recovering from the weekend’s activities. 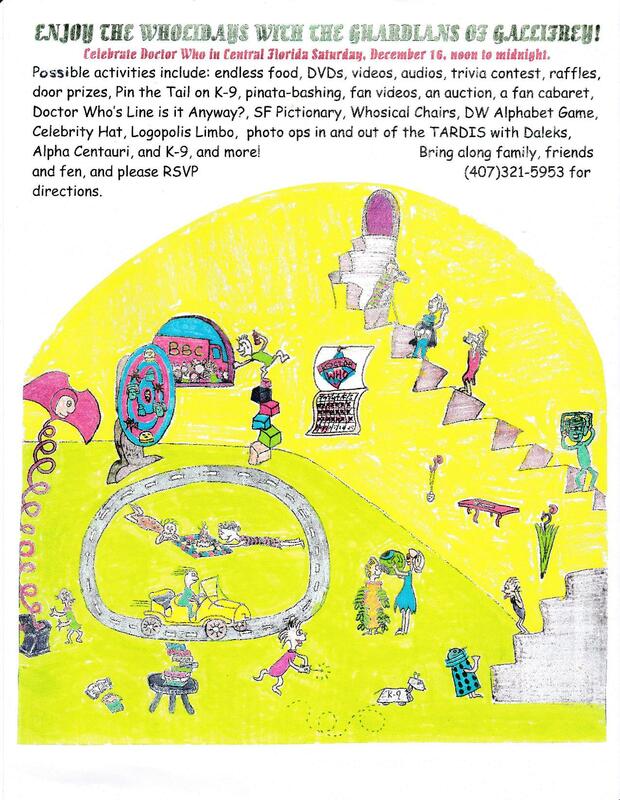 — DW Pictionary, Bowling for Daleks, Rocket Darts, Pin-the-Tail-on-K9, Tardis Beanbag Toss, and DW Dominoes. We’ll also have DW Yahtzee available. 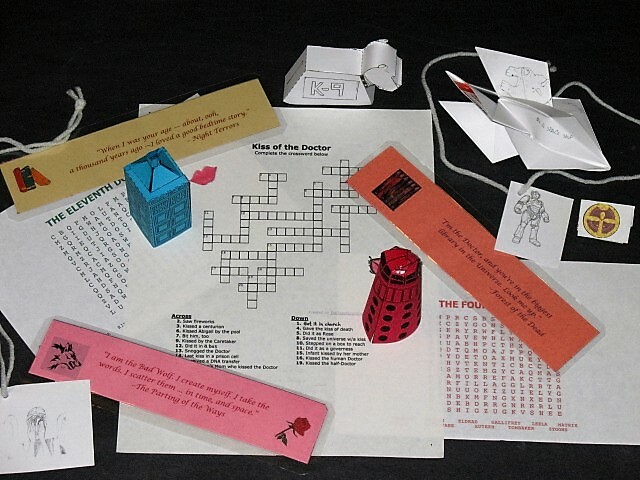 — bookmarks, crosswords and word search puzzles, origami Rockets (Dinosaurs on a Spaceship! 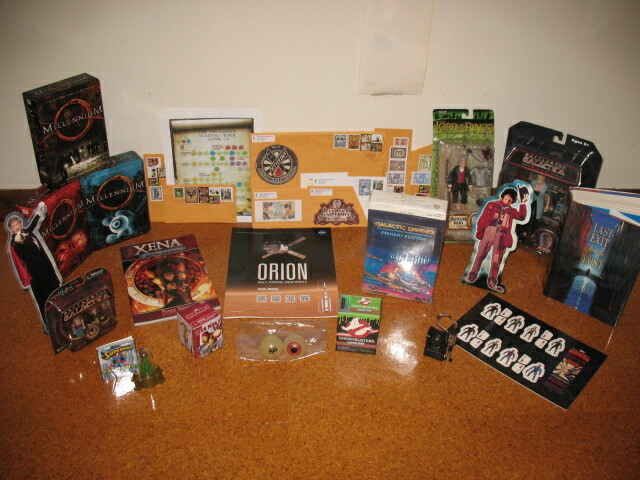 ), and paper ornaments. 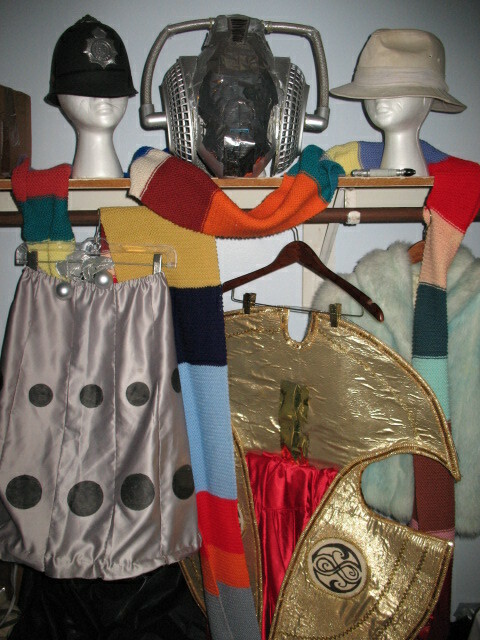 And the costumes and props to borrow for that perfect selfie. James Corden (Craig Owens from Doctor Who) has a new baby girl, his third child. So far, none have been named Stormageddon. 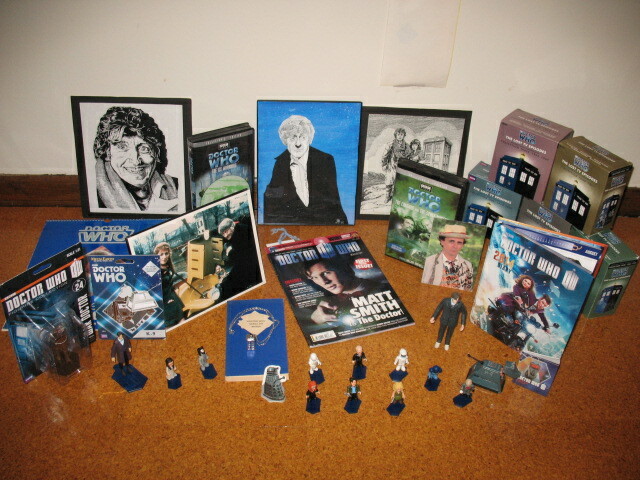 On a more personal note, I just watched the “official” trailer for the Doctor Who Christmas special (twice, actually) and it was great motivation to work on the Wholiday Party! I have ideas for the piñata and cake, and am eager to put together the auction list, which includes some recently added items. 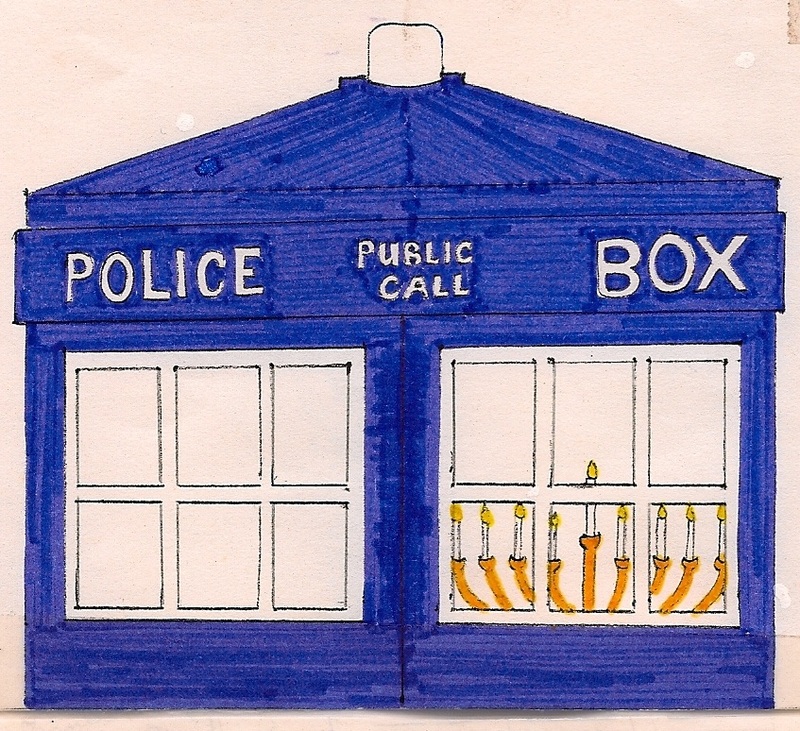 For more Wholiday artwork, poems, filksongs, etc., check out the Wholiday Files link at http://www.GuardiansOfGallifrey.com ! Yep, I took that photo in my garage just minutes ago. 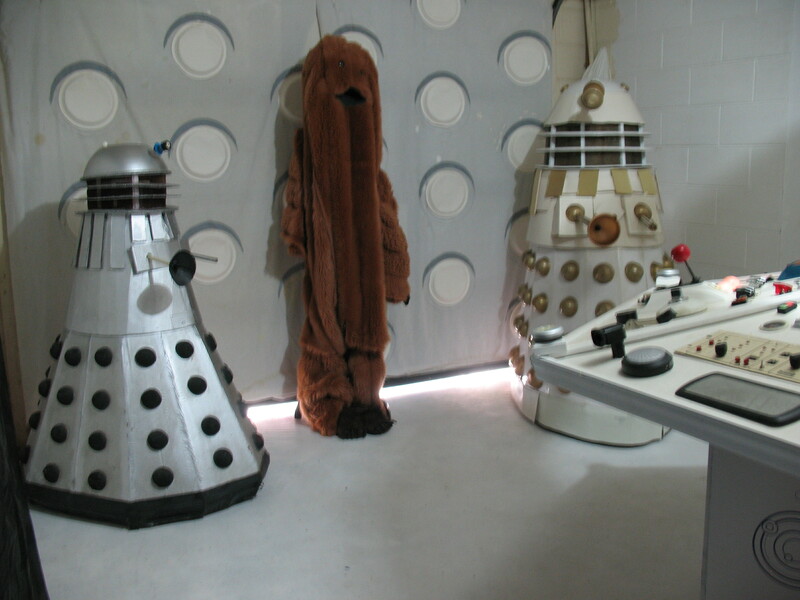 Here’s a photo with Salvador (Dalek) and friends, hanging out before a previous Guardian party. Looks like Jon and Tom have photo-bombed this pic! 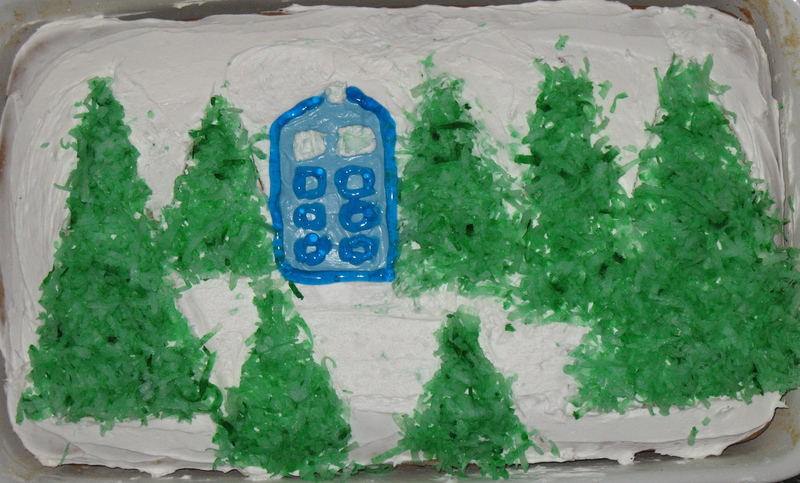 Every December the Guardians of Gallifrey have a Doctor Wholiday Party, which usually includes a cake (or other treat) decorated with a DW-inspired theme. 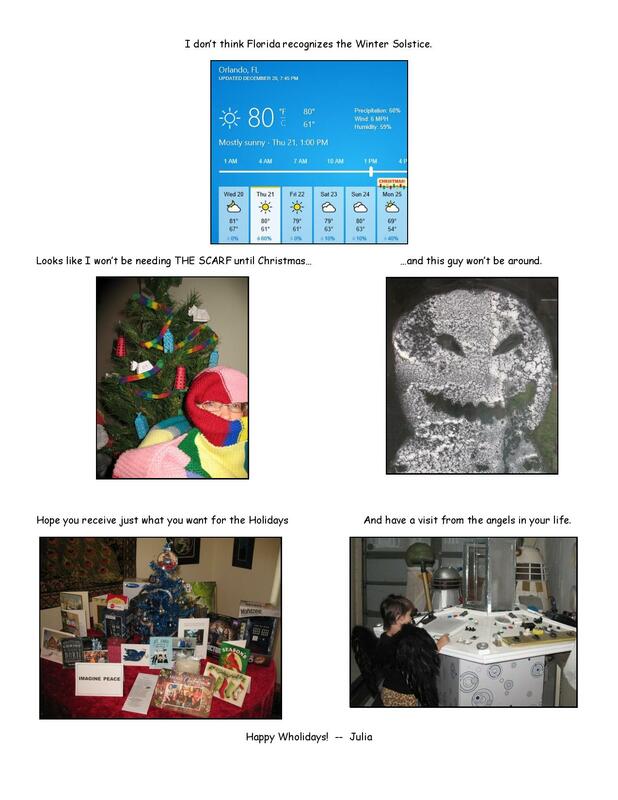 Below are pictures of past party delights. Can you guess for what year each was made?